It’s no secret that I am a massive crazy dog lady. 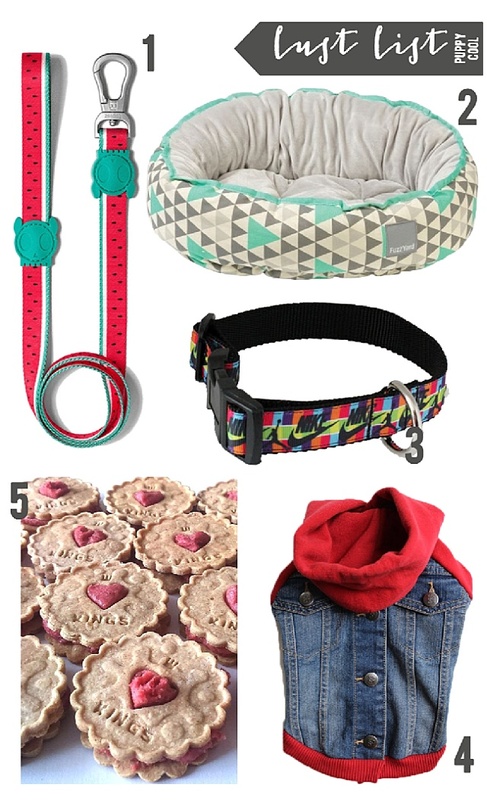 I have to rein myself in from spending all my money on fun things for the pups, mostly because in reality I know they probably won’t even notice they have said cool thing – they just want to chase balls or each other – but that doesn’t stop me lusting after things that will make me happy whilst I am with them. I came across Zee Dog products on Instagram. One of the Dogstagram accounts we follow has something to do with them. But they make the most fun collars, leads and harnesses. I’ve not bought anything from them yet, mostly because I fear I’d be buying it all, but as soon as I place an order I’m getting this watermelon themed lead. It’s just so cool. And surely it’s more an accessory for me as their leads are mostly worn round my neck in the park! I have been in love with Fuzzyard products since before we got Flash. We’ve had a few of their toys (soft toys never last long in this house!) but it’s the beds I lust after and this mint geometric bed is so pretty. Maybe, just maybe, when Melle stops chewing(read: destroying) every bed he sets his sights on, I’ll get them one for the front room. It can live in the front room because they never use the bed in there, I mean, why would they when there is a sofa to sleep on? We’re fans of an Air Max in this house, so when we met a cute little dog called Kipper in the park, sporting his Air Jordan collar I had to ask where it was from. Turns out they are made buy a guy in America and sold on Etsy under The Collar Authority. We’ve snapped up two of them, one for each dog, and I they get so many compliments. Take a peek at them in their collars here – Flash & Melle. Another awesome Etsy find was this shop that upcycles human clothes into dog jumpers. Which is something I’ve done myself (I turned my beautiful, but machine washed *sobs* cashmere Jack Will sweater into a jumper for Flash) But these guys take it to next level. I just love this denim jacket/hoodie that PupCycle Canada have created. There are also other jumpers they’ve upcycled too! And here’s another Dogstagram find. Kings Dog Treats create delicious looking dog treats in the shape of our favourite human biscuits, like these Jammy Dodgers and Custard Cremes too. I’d be buying these mostly to fool the pups into thinking they are getting my treats when in reality they are getting their own. Plus, how cool would I look handing these out in the park? So, yes, I’m a crazy dog lady, because I want (or have) these things in my life – not really to make the dogs lives any better (I mean, they have it pretty good as it is) but to make mine a little prettier too! Tell me, what are your favourite pet purchases?